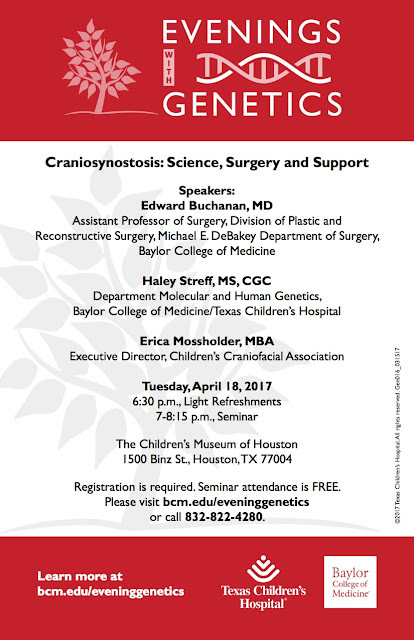 The series of events called Evenings with Genetics is an opportunity for the Baylor College of Medicine and Texas Children Hospital, "to highlight the advances in genetic research as well as encourage networking within our community. Many past seminar videos and future events can be found at the Baylor College of Medicine website. Baylor provides lots of great research and information for everyone, both in Houston and beyond.